Fillings are a very common dental procedure that many people will have during their lifetime. White fillings contain a plastic and glass mixture that are used to rebuild teeth that have been affected by cavities or tooth decay. 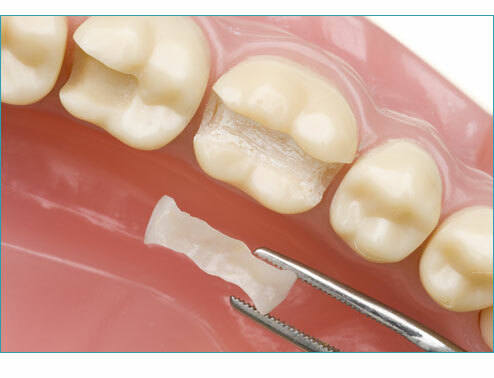 White fillings are preferred by most patients mainly due to their cosmetic appearance. They match closely to the natural colour of your teeth and help create a beautiful smile. The most visible advantage of white fillings are its appearance. Simply because they are white and not as noticeable as metal fillings. White fillings can be blended in with your natural tooth colour. Patients who have opted for white fillings usually have decreased sensitivity caused by cold or warm temperatures. Another advantage is they can be done within one appointment. A filling is required to treat cavities. If left untreated, the decay may eventually develop and grow into your nerve canal which can result in more serious and complicated issues such as infections. Additional to pain, discomfort and potential for tooth loss – a cavity that is left untreated may result in a much more complicated process known as a root canal. It is important to fix your cavity as soon as possible to avoid complicated issues that can develop.